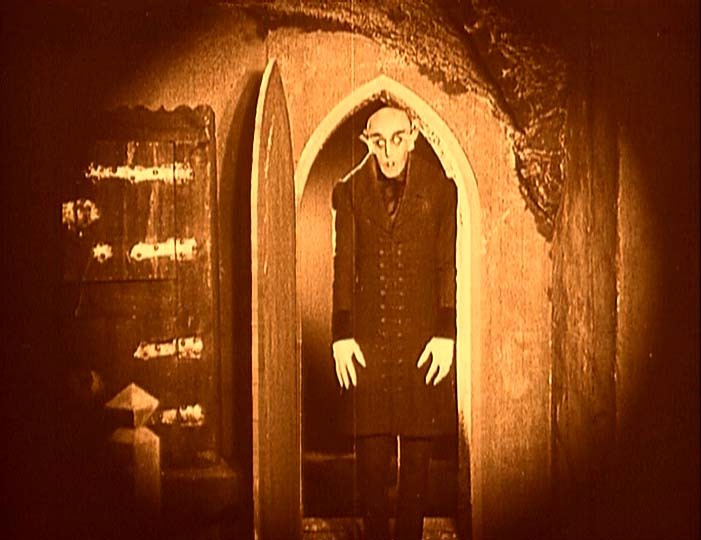 Nosferatu! That name alone can chill the blood! 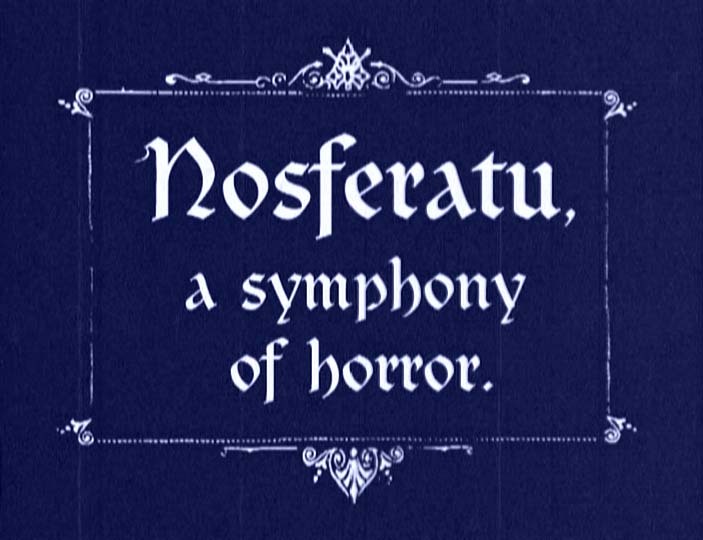 From the diary of Johann Cavallius, able historian of his native city of Bremen: Nosferatu! That name alone can chill the blood! 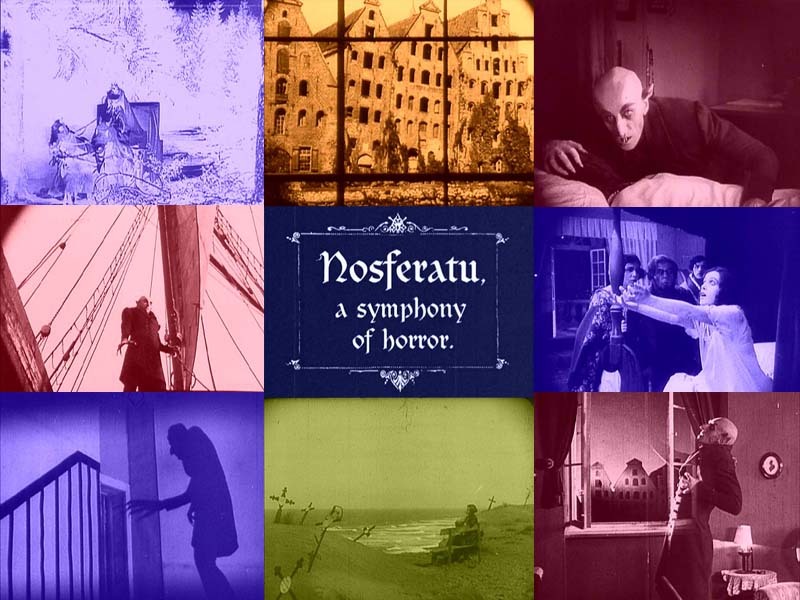 Nosferatu! 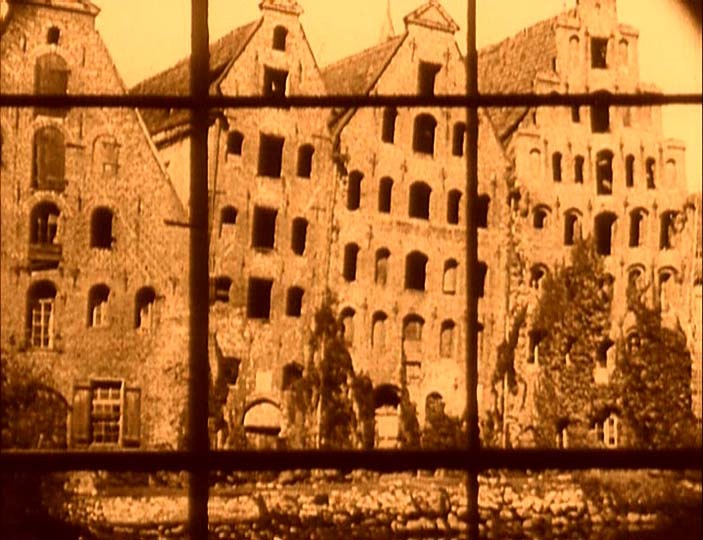 Was it he who brought the plaque to Bremen in 1838? I have long sought the causes of that terrible epidemic, and found at its origin and its climax the innocent figures of Jonathon Harker and his young wife Nina. Knock: He wants a very nice, deserted house. That house...opposite of yours. Just offer him that one! 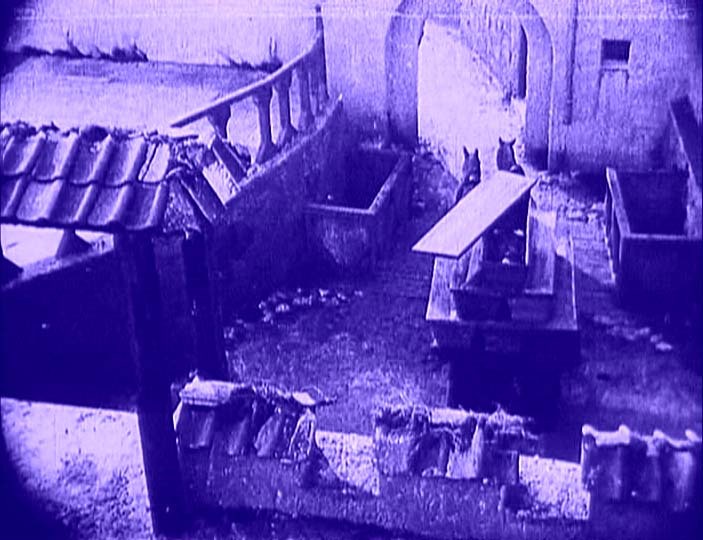 Knock: Travel well...to the country of ghosts. Driver: We will go no further, sir. Not for a fortune! We will go no further. 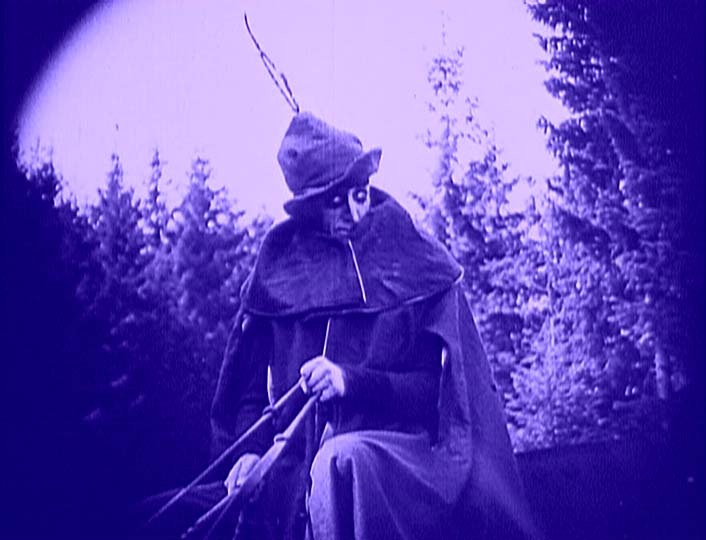 Here begins the land of the phantoms. 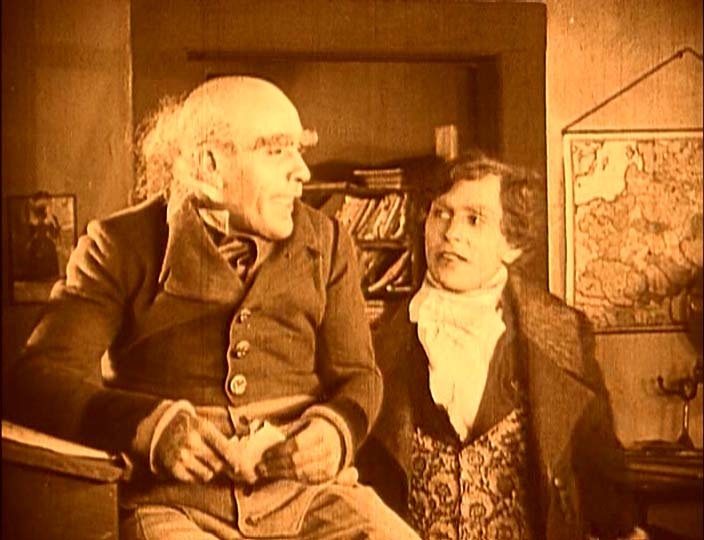 So a mysterious coach takes Thomas Hutter (Gustav von Wangenheim) to the castle of Count Orlok in Transylvania. 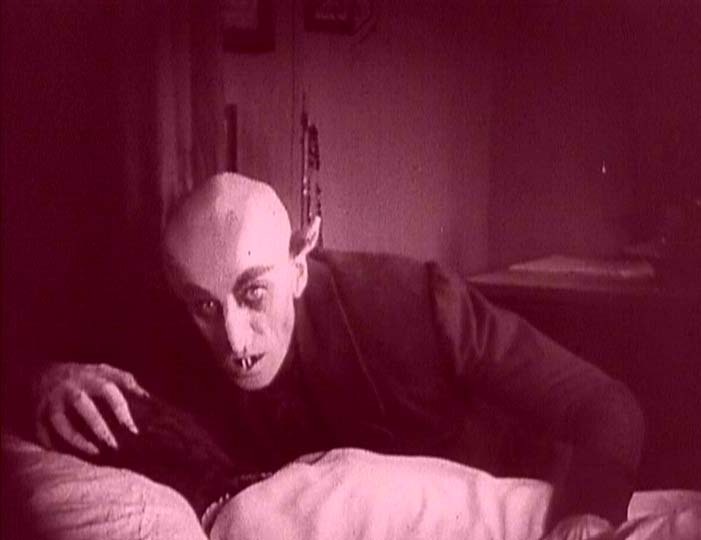 Count Orlok (Max Schreck): You've hurt yourself...The precious blood! 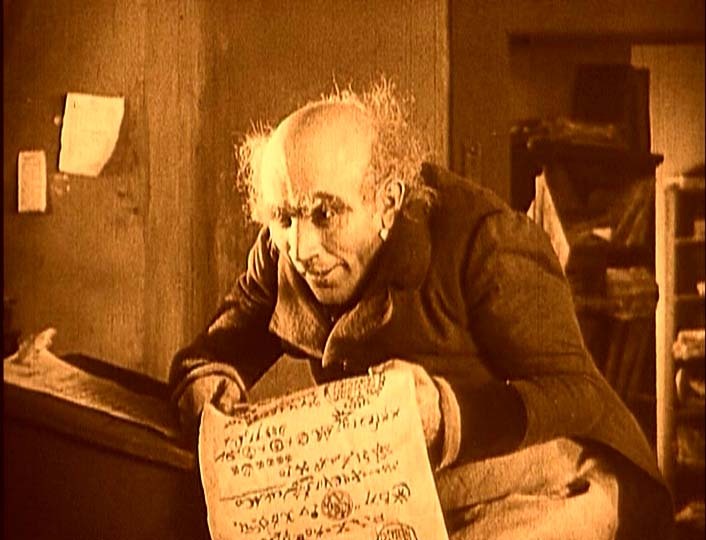 At last Hutter realizes that Count Orlok is not the ugliest man to ever walk the earth but the ugliest vampire. 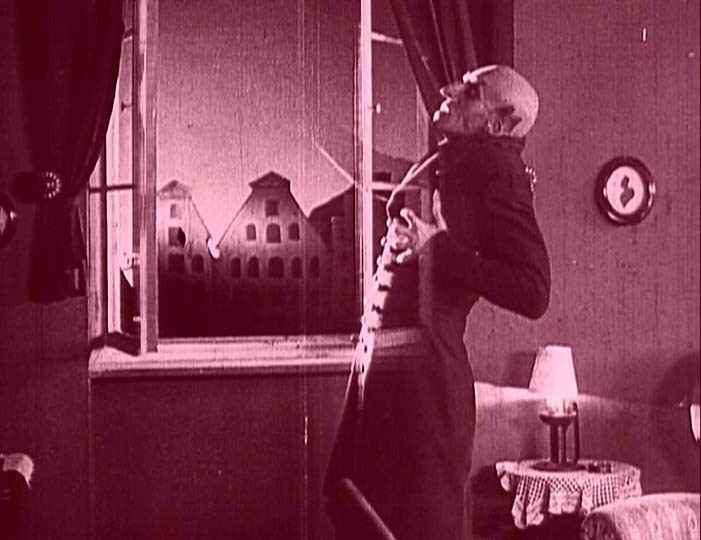 Hutter is saved when Nosferatu hears his wife, Ellen (Greta Schröder) cry for her husband. After all, What a lovely throat! 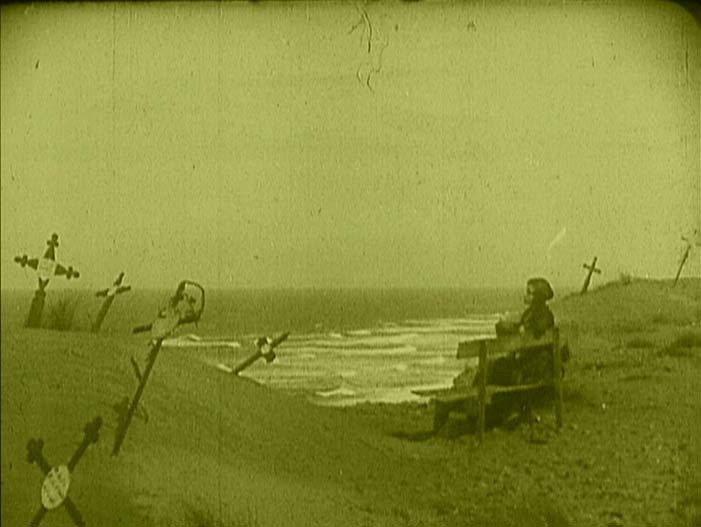 Ellen went to the beach often, to spend time alone in the dunes. She longed for her beloved. Her eyes searched far across the waves. 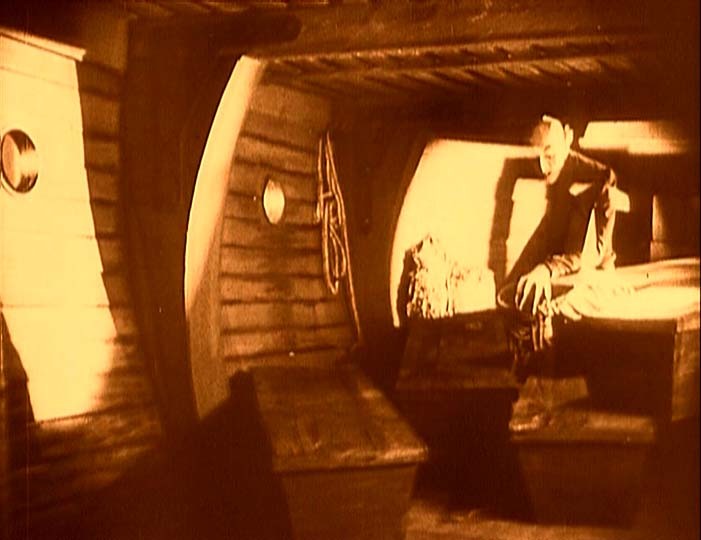 The coffins are loaded aboard a ship bound for Bremen. 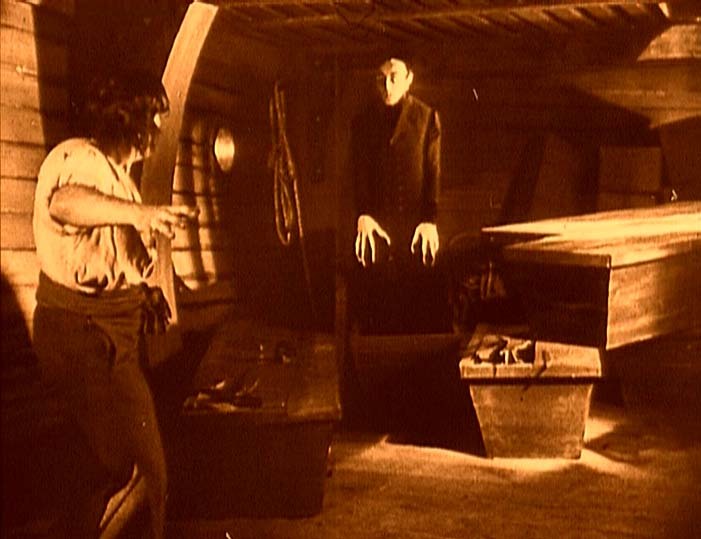 One of stupid vampire's tricks for which Count Orlok appeared on Draculman's Late Show. 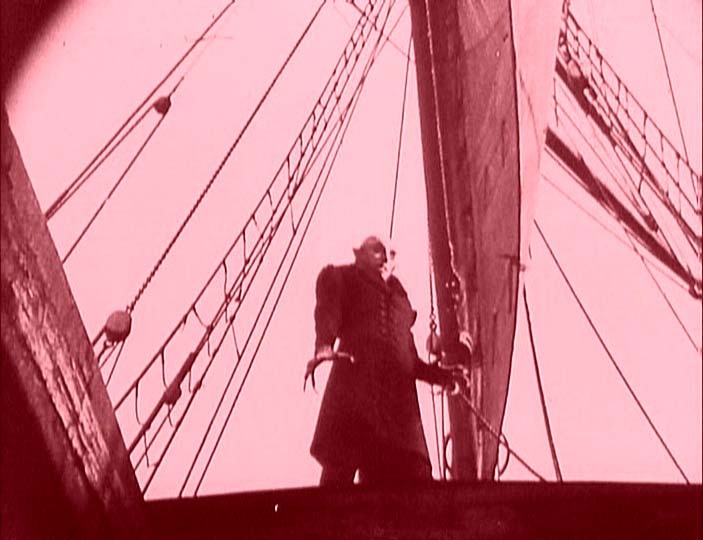 During the journey the crew is stricken one by one with a mysterious plague until they are all dead. 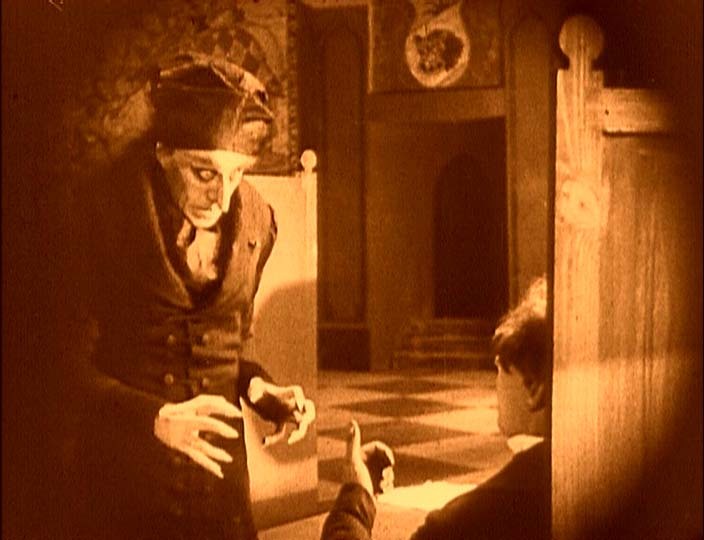 If Count Orlok didn't do that, he might have arrived at Bremen faster than Hutter. 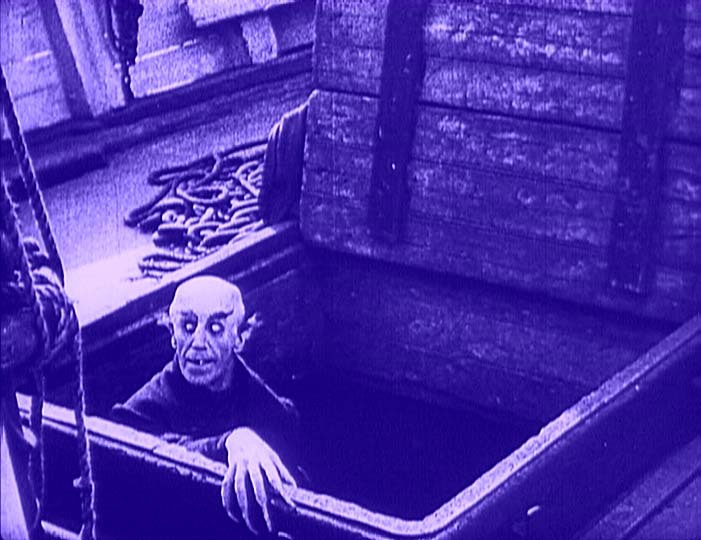 Count Orlok arrives at Bremen. 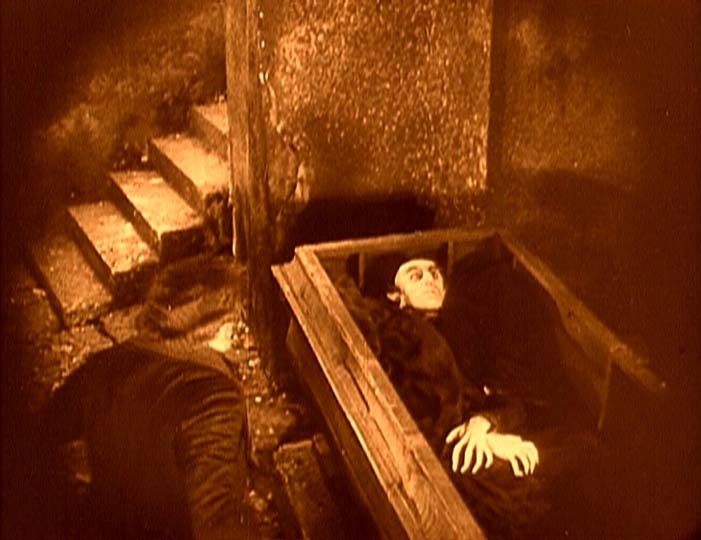 From reading Hutter's vampire book, Ellen learns that the only way to kill the vampire is to trap him into allowing the sunlight to strike him. 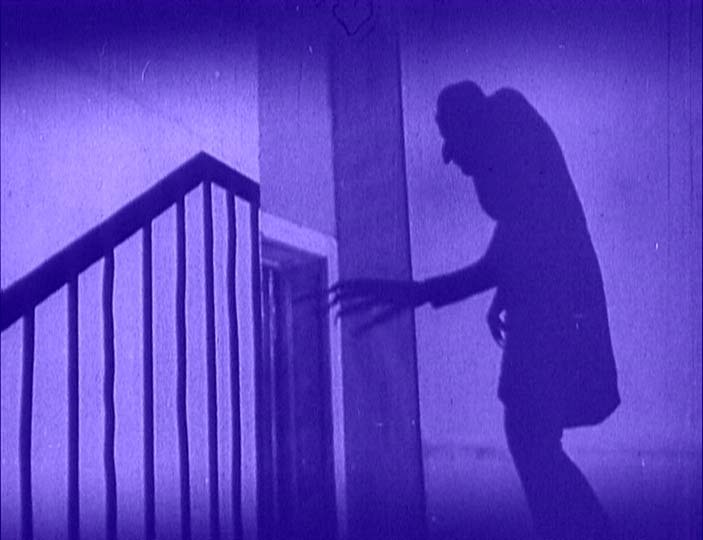 That night the Count calls out to Ellen. She answers his call and sends Thomas to get a doctor. Ellen will sacrifice herself to save Thomas and the city! 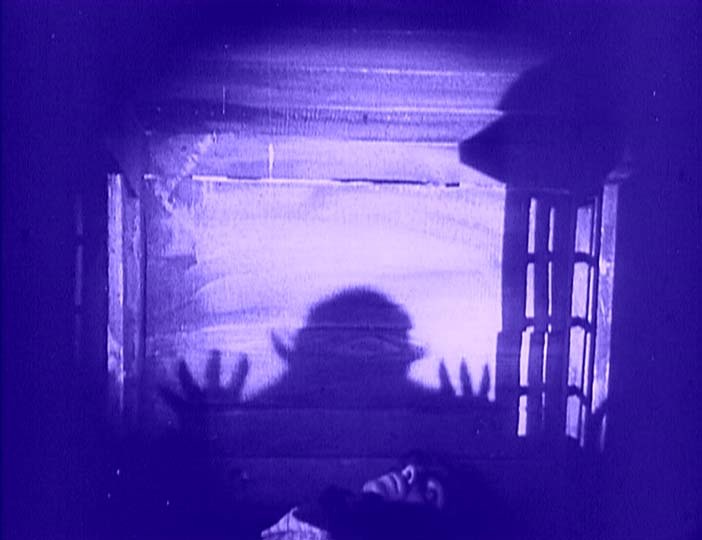 Count's shadow hand strikes Ellen's hear. 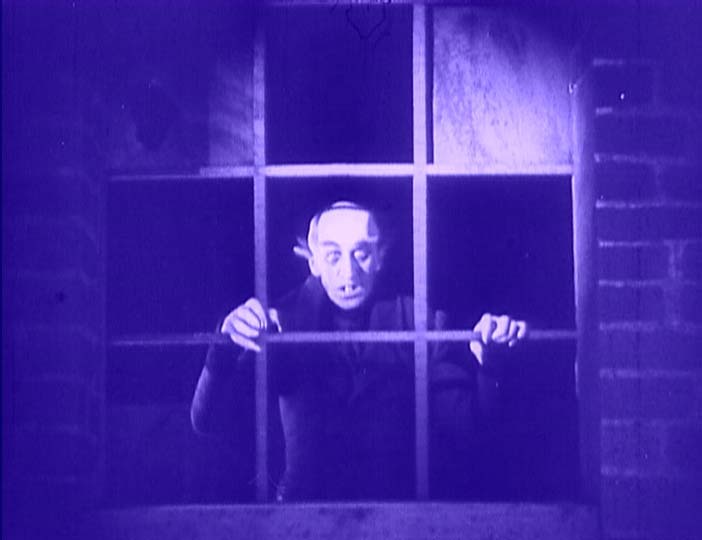 What Count Orlok really needed is a beeper with a simple alarm capability. 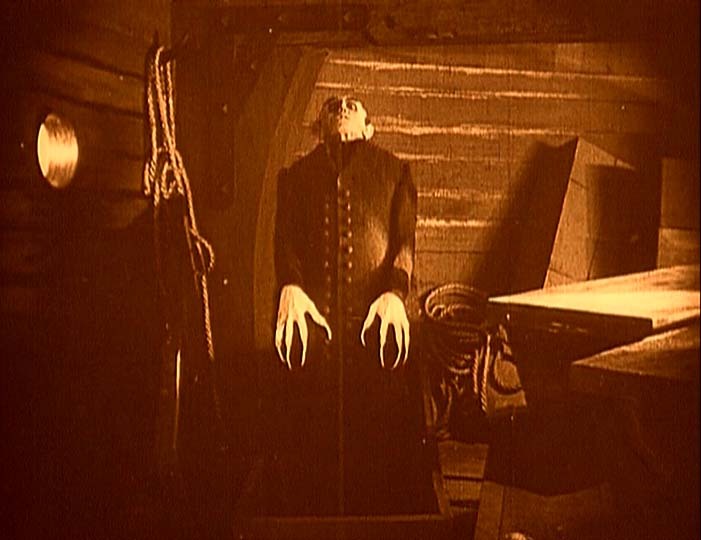 Nosferatu is destroyed by sunlight.